Seafarer Mama (Karen) loves to lose herself in the culinary arts by mixing her storytelling with sharing recipes. Recipe books are my Launching Pads! Recipe books are my portals to another world. They transport me spiritually to a place where I have the power to heal others through the culinary arts. Cooking is a form of giving love and warmth to my family and friends. In addition to The Joy of Cooking, which I enjoyed using when sharing an apartment with a roommate in the early 1990s, there are many books floating about the universe and living on my bookshelves that have been a source of joy for me to use. Each of my recipe books has a story behind it, and is related to who I am. 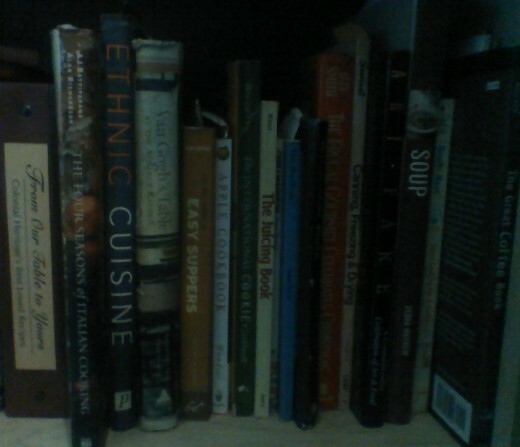 Below is a catalog of some of the recipe books I have on my shelves, and the reasons why I chose to give a copy of them a home with me. In many of them, there are delicious salad recipes, so that is one meal "course" I will consider covered by all of my other recommendations. 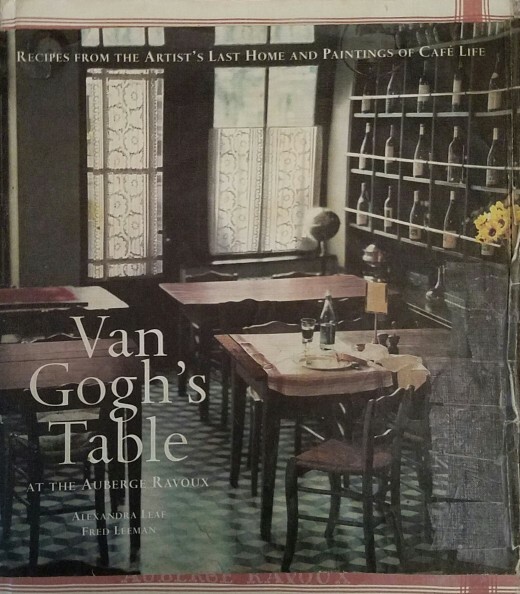 My passion for the art of Vincent van Gogh connected me to Van Gogh's Table at the Auberge Ravoux: Recipes from the Artist's Last Home and Paintings of Cafe Life as soon as it hit the bookstore shelves. I am happy that it was at a Borders Books and Music store that I first became acquainted with it. After seeing how much joy I derived from looking through it and thinking about using the recipes, my husband gave it to me as a birthday gift and I have enjoyed reading the art history presented at the beginning of the book as much as I enjoy following the recipes.That is one of the aspects of the book that bring me pleasure and make the book so valuable to me. Some of the recipes that I have made most often include cream of carrot soup, beef stew, herb-crusted baked salmon, orange soda, honey madelines, and cocoa. 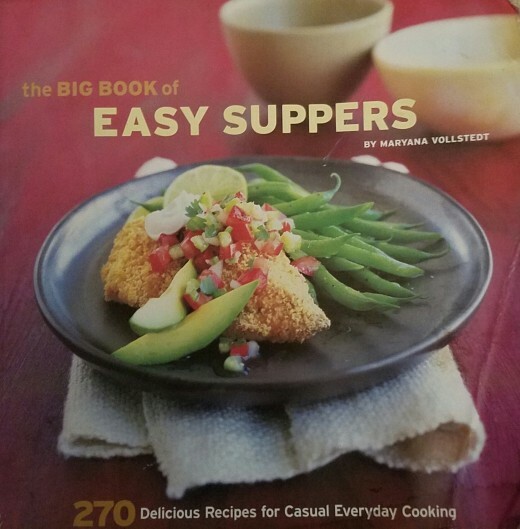 When I look for a straightforward recipe for preparing a quick and tasty meal, I open The Big Book of Easy Suppers. It captured my attention while I was shopping at the Brookline Booksmith in Brookline, MA and has served me well over the past 6 years or so. I have relied on it throughout the years, and many friends have enjoyed a meal at our home from one of the recipes between its covers. The recipes I have used most often include: sauteed shrimp with garlic and white wine, baked salmon and peas, baked orange rosemary chicken, pancake supper, and mixed berry cobbler. Other books in my collection that are listed to the right are Pasta (Williams-Sonoma Kitchen Library) and Mommy Made and Daddy, Too! The pasta recipe book is one that has been in my collection since I moved to Boston. I bought it at a Williams Sonoma store in Cambridge, MA. The other recipe books listed are titles with variations on the same theme. Since I have a deep respect for the vegan lifestyle, I have included one for all of you who are committed to eating vegan. My passion for pizza equals my passion for all other foods combined! My family loves to make pizza together, for both ourselves and our friends. One Saturday evening a year or two ago, a friend and her daughter stayed for a longer visit at our apartment in Boston in order to make and eat pizza together for dinner. What fun we all had! Last New Year's Eve, my co-housing community hosted a make-your-own-pizza party to welcome in 2010. I had a blast helping to create the dough for a bunch of them. When it comes to toppings, my daughter likes mostly cheese on her pizzas, and my husband is not happy unless there is a thick blanket of pepperoni on top of his. I love "Hawaiian" pizza, which is basically pineapple and Canadian bacon. I relive fond memories every time I eat this type of pizza. The first time I ever tasted pineapple pizza was as a student studying abroad in Ireland. Other favorite pizza toppings of mine include: eggplant, garlic, tomato/basil/ricotta, and mixed veggies. I was introduced to eggplant pizza when I worked as a costumed guide at the Boston Tea Party Ship & Museum. As a dessert pizza, I made the sweet hazelnut pizza, using Nutella, from my beloved Pizza Deck, also purchased at the Brookline Booksmith in Brookline, MA. If there isn't enough time to make your own crust, dough can be purchased at a local Italian food shop or the grocery store. For a quick meal, I usually make miniature personal pizzas using English muffins. They are a comfort food from when I was young. 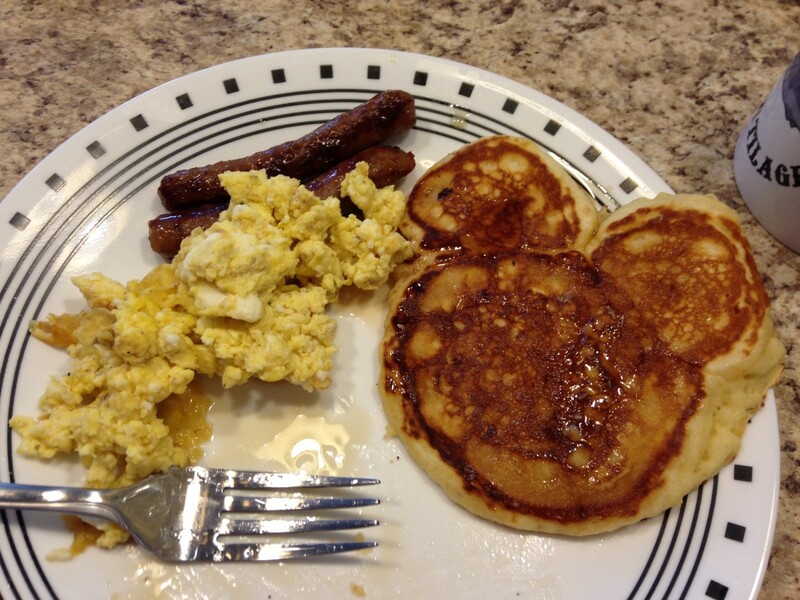 My grandmother made them for dinner when I stayed overnight at her house. Since I usually ate them with only sauce and cheese, that is how I prefer to eat them now. My husband enjoys trying to fit as many pieces of pepperoni on his portion of these, too. Cooking with apples is one of the aspects of autumn that I look forward to most. I bake more and invite guests in for warm food and drink accompanied by lively chitchat. 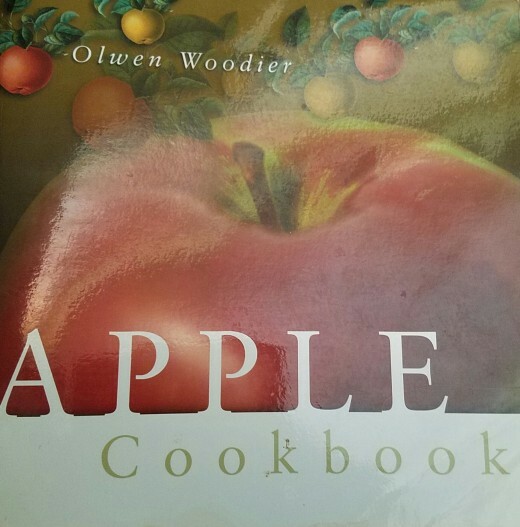 The book that I use most is The Apple Cookbook, by Olwen Woodier. I bought this book on a whim when walking down the hall at Brigham and Woman's Hospital in Boston. It was an impulse purchase I am glad that I made. 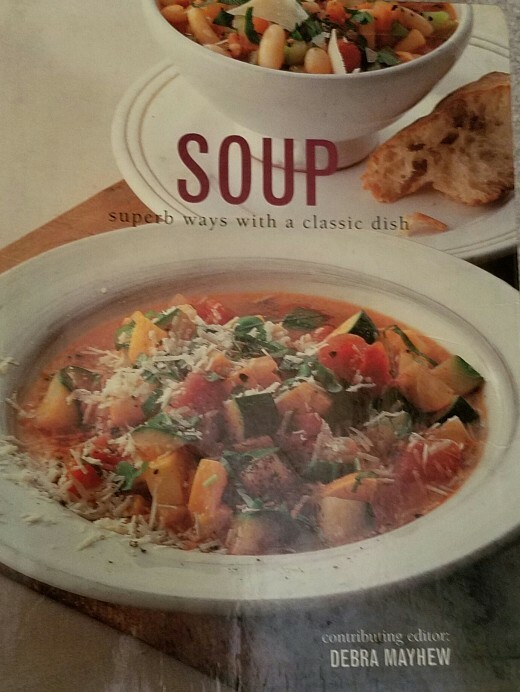 The recipes that I use most in this book include Apple Ratatouille, Mulligatawny Soup, Zucchini and Apple Soup, and the Maple Sweet Potato Casserole. 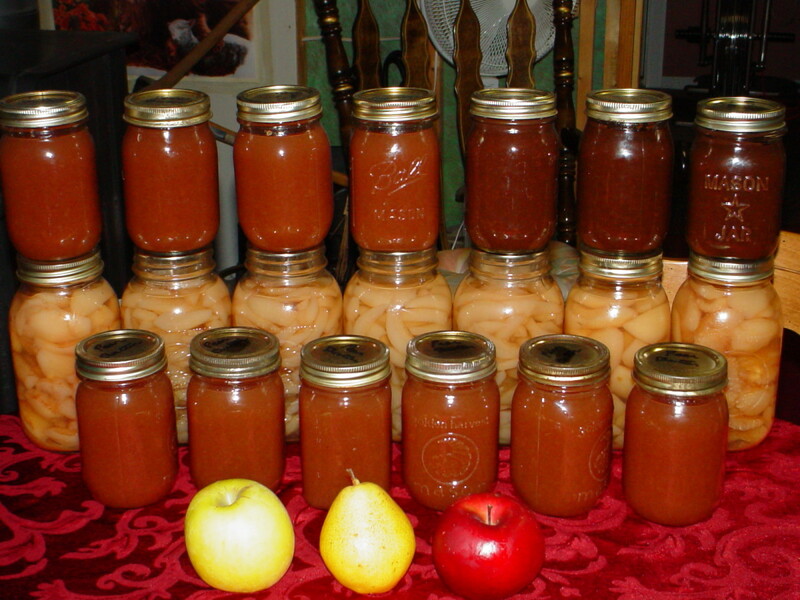 The desserts that I have made from it include Apple Fool, Apple Envelope, Wassail, and Applesauce-sweetened brownies. For a healthy afternoon snack, I have made the Apple Smoothie and Frosty Apple Shake for my daughter and I. To give you a greater range of choices, I have provided links to a variety of apple cookbooks. The one cookbook that I have listed that is not directly related to cooking with apples is a cookbook that does not fit into any one category covered on this page, but is one I have used most often for preparing food at harvest time. That is the Four Seasons of Italian Cooking . 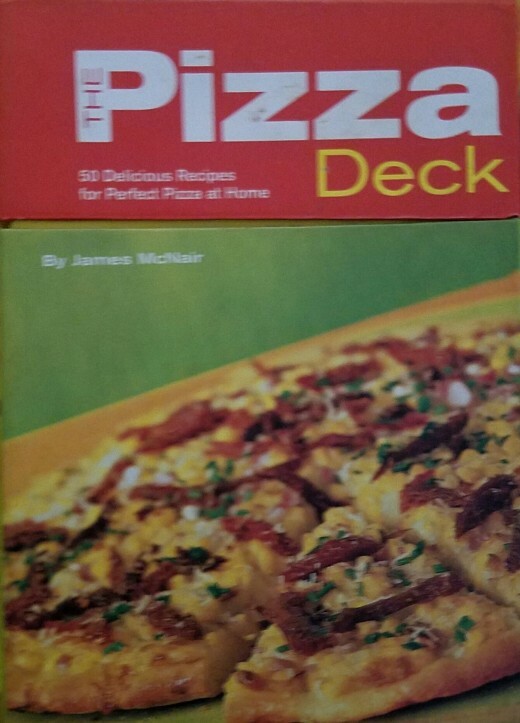 I have used the focaccia recipe in this book as my pizza dough and have made the butternut squash soup and Tuscany bread for dinner. 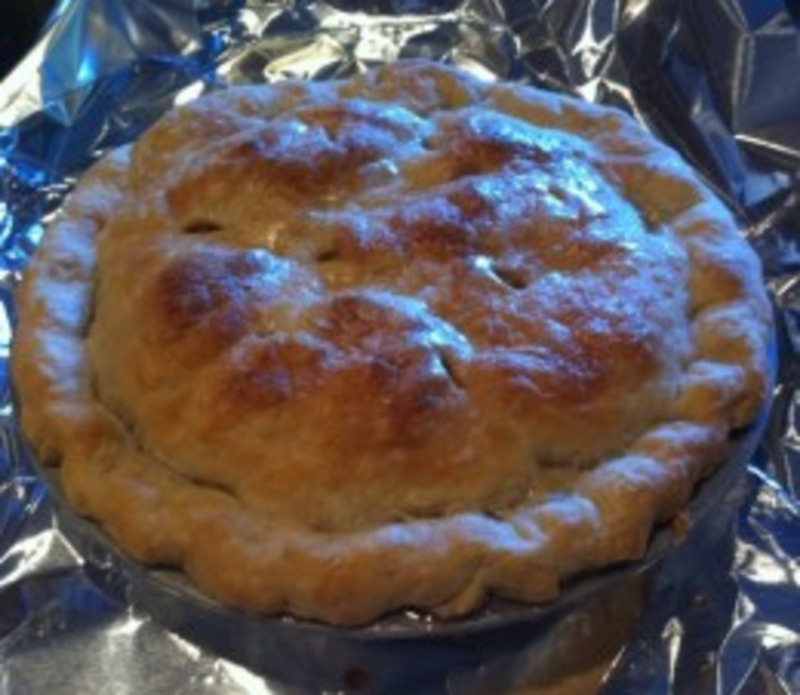 It has been requested for pot lucks by friends and cohousing community members. This book is also one that presents more information about cooking Italian food from various regions of Italy, with pictures of traditional Italian kitchens, a feature, like that of Van Gogh's Table, which increases its value for me. It was an anniversary gift from my husband, to celebrate our first year of marriage. The comfort contained in this books warms my heart all year round, but especially in winter, when the family wants a warm, hearty meal to fortify us against the deep winter chill of New England Januaries and Februaries. What would we do each winter if we did not have soups? Soup + Bread = Love for a hardy New Englander such as myself. I am aware that this applies to others who live in regions that also experience gusty winds, if not snow squalls and nor'easters. Soups and Breads are important to human survival because making them keeps both the home and the heart warm during the coldest, darkest months of the year. One of the pleasures of living in a co-housing community is that I can cook for lots of my neighbors as I cook for myself, and I have the opportunity to taste the soups they love to make. For those of you who do not experience weather that is as cold as it gets in New England, cold soups refresh the palate during the warmer months of the year. My favorite soups that fall into this category are Mexican gazpacho and Moroccan cucumber mint soup. Some of the soups recommended on my Amazon list include both types. Some of my neighbors own bread-making machines, which allows them extra time to accomplish a long list of tasks at the same time that they are creating a hot, steaming loaf of delicious, mouth-watering comfort that melts butter on contact. My bread machine was inadvertently left behind when we moved last summer, so I have had to begin making loaves from scratch again. There is much to be said for the therapeutic value of kneading. Included on this list is a cookbook for readers who must eat a gluten-free diet. I hope that the book I have recommended through Amazon contains recipes that result in delicious breads for you to enjoy with your soups. Have fun experimenting with various soup-bread combos to find the one that is most satisfying for you! Some of the warmest memories from our lives, especially those begun during childhood, include baking cookies in the kitchen. My daughter and I have baked sugar cookies to decorate with girl scouts, lemon cookie sandwiches, chocolate chip cookies, oatmeal cookies with and without raisins, and gingerbread cookies. We look forward to continue our baking adventures as more leaves are blown from the trees and the snow flurries begin to fall. 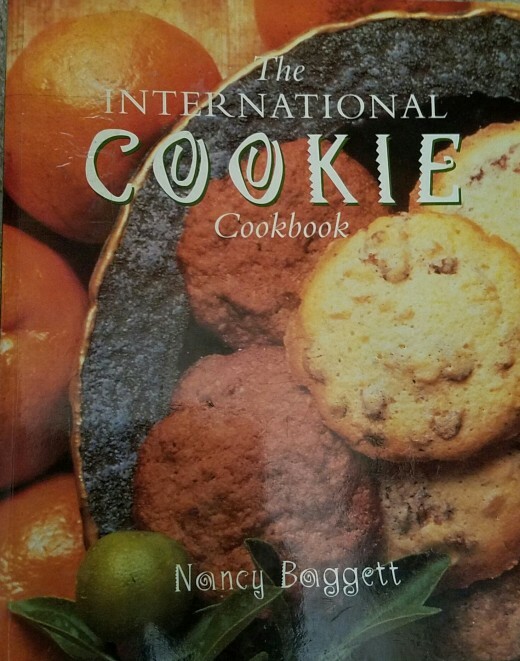 When I worked for Crate & Barrel during the 1996 Christmas season, I bought myself an International Cookie Cookbook, which I did not see listed with all those offered by Amazon. I did find others, though. Some of them may contain a recipe that could become one of your family favorites. The next best thing to shopping for cookie, cake, and cupcake recipe books is shopping for the kitchen tools for making them. I am tempted to give my daughter her own rolling pin for Christmas (or have "Father Christmas" bestow it on her). When we browse through the baking isle of stores such as Crate & Barrel, I love to purchase a unique cookie cutter. Next on my wish list is one in the shape of a turkey. The weeks leading up to significant holidays offer opportunities to share time with family, baking traditional breads and treats. Stories are shared and traditions are passed on to the next generation of homesteaders. Not only does baking together bring extra warmth and fun to the home, it can also lower stress and increase enjoyment. The more help, the better! Baking is both entertainment and comfort, with satisfying rewards that are directly related to one's labors. My recommendations include recipe books for a variety of cultural traditions. The first one, The Frugal Gourmet Celebrates Christmas , was purchased at a local "Buck A Book" store about 20 years ago and has been a source of inspiration through the history lessons attached to each recipe included by Jeff Smith. Some of my family's favorites from this collection are Angel Hair Pasta with Whipped Cream and Porcini, Unleavened Brown Bread for Joseph (wheat cakes brushed with sesame oil), Honey Cake with Rose Water for the Angels, Oven Roasted Potatoes, and Warm Milk with Honey for the Infant Jesus. My heart is aglow as I write about them. Christmas is but one holiday celebrated during the winter months, so I have also included several other recipe books offered by Amazon, which cover the Chinese New Year and Hannukah. Happy baking and Merry holidays to you all! May the approaching New Year bring you many blessings of health, happiness, and prosperity! 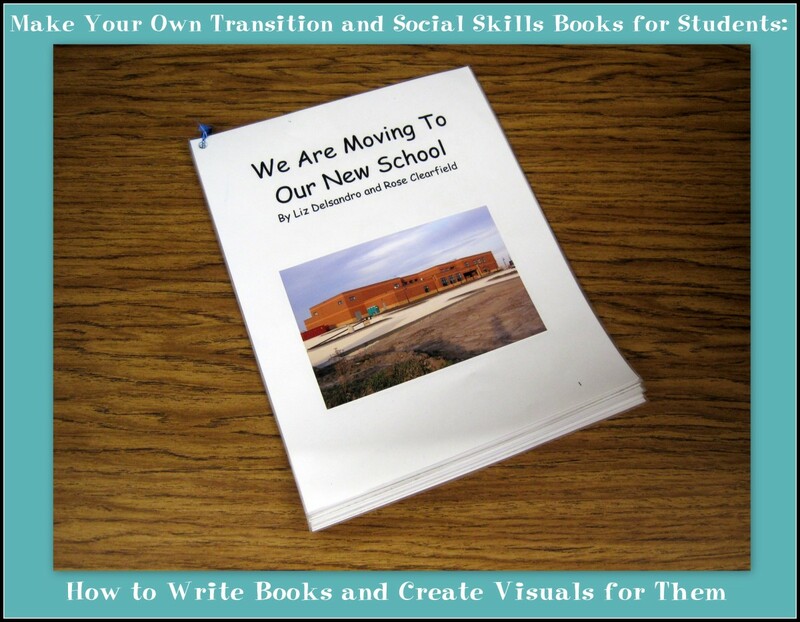 Are you ready to build your recipe book library with my suggestions? I too have an obsession with cookbooks. My favorites are the Taste of Home cookbooks. The next one I am eyeballing is the Rachel Ray cookbooks. I love her quick and snappy meals. Glad you enjoyed my hub, "orchidmyst." Thanks for writing. It's so good to meet others with similar passions. :0) Last night I was assistant cook for our community meal and made a pumpkin mousse and the "Apple Cinnamon Squares" recipe from the Apple Cookbook. both came out delicious. So good when we can feed our family and friends with enjoyable meals, and thus show our love for them this way. In return, we get to enjoy their blessed company! I love cookbooks and use them as bedtime reading often. People have bought me cookbooks from different places around the world and each book has history as well as the recipes--what good reads! Good food too, but I enjoy them for the story they tell as well. What a great hub! While not quite to the same extent, I have a real fondness for cookbooks and have my own little collection. I loved reading about your love for cookbooks and what you shared. The Van Gogh's Palate one looks so interesting as do the others. I will have to check those out. Thank you for reading, QudsiaP1. Glad you enjoyed this hub. :0) Hope you find a good recipe that satisfies among my recommendations. You have a fantastic writing style that I find very appealing (no apple pun intended). I am now a fan, and glad to be!